Long before the fictional and shocking “Peyton Place” of TV and film fame came along in the late 1950s, and early 1960s there was an actual suburban community where its residents were roiled by rampant scandal, moral and religious hypocrisy and a sensational a murder in their midst. The year was 1834 and the place was the normally tranquil and bucolic Village of Sing Sing, now called Ossining. Actually, the extremely bad behavior took place just outside of the Village, on nearby farmland where a high-end condominium called “Beechwood” now stands in the Village of Briarcliff Manor, on the southwest intersection of Route 9 and Scarborough Station Road. Nonetheless, due to its proximity, it was the Village of Sing Sing that got the headlines in the “penny press,” and crowds of curious and outraged Villagers flocked to the “New York Road” in front of the farm hoping for a glimpse of the sequestered souls residing in the house. As it happened, the egregious events that took place here had their beginnings two years earlier in New York City when two self-proclaimed oracles who grandiosely called themselves — “The Prophet Matthias” and “Elijah the Tishbite” met and determined that they would partner in a religious venture they named “The Kingdom.” Their real names were Robert Mathews and Elijah Pierson. Robert Mathews was seven when his parents died and he was raised by the elders of the “Anti-Burgher,” sect of the Presbyterian Church. Except for a brief period as a successful store owner with a young family, he spent most of his time in a misdirected quest for religious truth. While in residence in Manhattan, he preached on street corners and briefly attended an African Methodist church. Then, influenced by newspaper editor Mordecai Manuel Noah — who planned to set up a homeland for American Jews — Mathews proclaimed that he was not Christian at all, that his ancestors had been Hebrews. Later he moved to Albany where he tried to join an evangelical Christian church but was turned down for his unorthodox religious views. On June 20, 1830 Mathews was arrested for disrupting a church service in Argyle, New York. 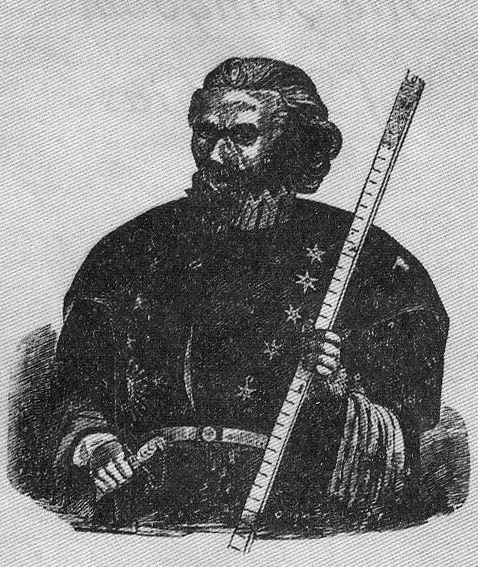 After his arrest, Robert Mathews moved back to Manhattan and changed his name to the Prophet Matthias — possibly after the apostle Matthias who replaced Judas, or possibly after Jan Matthys, the 16th century Dutch reformer. Once more he preached on street corners of a coming male-dominated, Kingdom of God, with himself as its leader. While working in the mission, he met and married Sarah Stanford, whose father was a Baptist minister. Elijah left the Presbyterian Church and joined Sarah’s Baptist congregation. When Sarah began attending prayer meetings led by Francis Folger, who taught “retrenchment” — an ultra-evangelical movement prohibiting luxury in diet, clothing, and home furnishings—Elijah followed her there too. They became deeply involved in the Retrenchment Society, which met at the home of Francis Folger’s brother and sister-in-law, Benjamin and Ann Folger. Elijah and Sarah began living on bread and water and fasting for long periods. While Elijah’s business was still prosperous, their home was almost completely devoid of furnishings. Elijah began preaching and applied for a license as a Baptist preacher. However, like Mathews it was not granted and he left the Baptist church and formed his own independent church on Bowery Hill in Manhattan. He and Sarah started a mission for the prostitutes of the notorious Five Points neighborhood. Pierson, continually prayed for God’s help and claimed that God spoke audibly to him. When his wife fell ill and died he attempted to bring her back to life repeating the words, “The Lord shall raise him up.” This went on for several hours to no avail and over the next few months Elijah’s congregation lost faith in him and with few exceptions (the Folgers for instance) they left his ministry. Despondent, he gave up his business and let his hair and beard grow, but in May 1832 he received a visit from the Prophet Matthias. Matthias told him it was a mistake to pray for the Son’s Kingdom- it was the Father’s Kingdom that was at hand. Referring to his arrest, Matthias said the Kingdom had already begun, with the Declaration of Judgment at Argyle on June 20, 1830. This got Elijah’s attention- it was the same day, so he claimed that Jesus first spoke to him. Elijah believed that he was Matthias’s “John the Baptist and became a disciple of the Prophet Mathias and never preached again. All that summer Matthias preached loudly against devils, women, and 1800 years of Christian misrule. 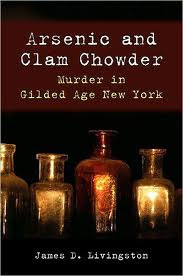 At this time, Benjamin Folger was sent to Albany to bring back the Prophet’s children by a former marriage. When he returned he announced that he had slept with the Matthias’s married daughter, Isabella Laisdel. The Prophet’s response was to severely beat his daughter. Then, he declared that Benjamin and Isabella were actually “match spirits” and should be married. They were both agreeable to this, though Isabella was already married to a man named Charles Laisdell. Mr. Laisdell appealed to authorities and the Kingdom was forced to submit to secular law and a slew of legal actions ensued that embroiled the Kingdom organization. To make matters worse, Elijah Pierson was slowly fading away. He had begun having nervous fits before leaving New York and at Mount Zion they became more frequent and severe. The Prophet would not agree to seek medical care, claiming that Pierson was inhabited by “fitty devils” that had to be fought with prayer only. In July 28, 1834, after eating two plates of blackberries at dinner, Elijah became violently ill. Matthias forbade any doctors or medical aid for Elijah. Elijah agreed, saying only prayer would save him. He was left alone, lying in his own vomit and excrement. On the morning of August 6, 1834 Elijah Pierson was dead. Two doctors who performed an autopsy declared Pierson had been poisoned. With his death, the Kingdom was in disarray as there was some dispute over who now owned the mansion and its land. Benjamin Folger claimed that Pierson had deeded it to him. Matthias also claimed it and Westchester County seized the property pending resolution of all the issues. 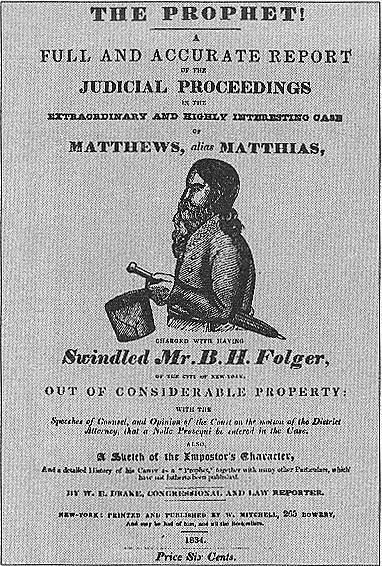 Folger reported to the police that Matthias had stolen the property and money that was rightfully his. Matthias was arrested and sent to the prison ward at Bellevue Hospital awaiting trial for the murder of Elijah Pierson, swindling Elijah Pierson and Benjamin Folger out of their property and for beating his daughter, Isabella Laisdale. In a side-bar issue, Folger also spread rumors that a black housekeeper residing at the farm named Isabella Van Wagenen (who later adopted the name of Sojouner Truth) and who previously also served the Piersons, had once tried to poison him and his family. In this way, he attempted to shift the charge of murder away from Robert Mathews to Isabella Van Wagenen. Folger believed that, as black woman Van Wagenen would not be credible to the white jurors hearing the charges in a court of law. However, she previously won a case against one of her former owners who had illegally sold off her son Peter, to another slave holder in Alabama. With the help of the Van Wagenens, she took the issue to court and, after months of legal proceedings, got back her son. She became one of the first black women to go to court against a white man and win. Apparently this experience prepared her for her libel suit against Folger and to the surprise of many, she won her case. The court ordered Folger to pay her $125, a significant sum for the time. Even more significant was the fact that a poor, black and unlettered woman won against a rich, educated, white man. Isabella had been born into slavery and was the daughter of a couple named Betsy and James. She was known as “Bett” and his nick name was “Bomefree”, meaning tall tree in Low Dutch. They were the property of a Dutch speaking family named Ardinburg in Ulster County, New York and then Isabella, her bothers and sisters and parents were separately sold off to a succession of owners. Late in 1826, she escaped to freedom with her infant daughter, Sophia, and found her way to the home of Isaac and Maria Van Wagenen, who took her and her baby in. She lived there until the New York State Emancipation Act was approved on July 4, 1827 and adopted the Van Wagnen surname. 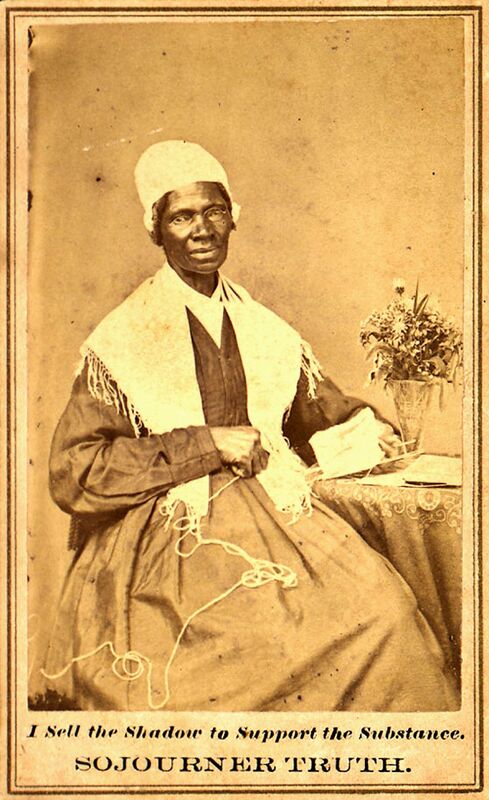 After leaving New York in the wake of the Kingdom disaster Van Wagenen became preacher herself and changed her name once again, this time to Sojourner Truth. In 1843, she was living in a commune in Northhampton, Massachusetts and for the first time in an environment permeated with liberal reforms like feminism and abolitionism. Truth now began to address antislavery audiences, taking her preacher’s speaking skills into a new field and renowned for her work as an itinerant preacher and public speaker. She was best known for her reply to Frederick Douglass’s 1847 suggestion that God had abandoned African Americans. This sermon entitled, &#8220Frederick, is God dead?&#8221 was widely published and brought her significant recognition in the broader religious community. Truth is remembered today for another rhetorical question she asked at a convention of women’s rights advocates in 1850. Suggesting that the feminist movement had marginalized African American women, Truth asked the convention of suffragists, &#8220Ain’t I a woman?&#8221 Made famous by Harriet Beecher Stowe in an 1863 Atlantic Monthly article, Truth was dubbed the &#8220Libyan Sibyl&#8221 and became a national icon of the evangelical, abolitionist and feminist movements. In 1851, Truth left Northampton to join George Thompson, an abolitionist and speaker. In May, she attended the Ohio Women’s Rights Convention in Akron, Ohio where she delivered her famous extemporaneous speech on racial inequalities, later known as &#8220Ain’t I a Woman&#8221. Different versions of Truth’s words have been recorded- with the first one published a month later by Marius Robinson, a newspaper owner and editor who was in the audience. Robinson’s recounting of the speech included no instance of the question &#8220Ain’t I a Woman?&#8221 Twelve years later in May 1863, Gage published another, very different, version. in it, Truth’s speech pattern had characteristics of Southern slaves, and the speech included sentences and phrases that Robinson initially did not report. Gage’s version of the speech became the historic standard, and is known as &#8220Ain’t I a Woman?&#8221 because that question was repeated four times. However, Truth’s own speech pattern was not Southern in nature, as she was born and raised in New York, and spoke only Dutch until she was nine years old. The murder trial proceeded, beginning with medical testimony. The testimony of the autopsy doctors did not hold up under cross-examination. The doctor who had chemically analyzed Elijah’s stomach testified that there was no poison. Rather than mounting a defense, Matthias’s attorneys asked the judge for dismissal. Judge Ruggles agreed that there was not enough evidence to convict Matthias of murder and the charge was dropped. The prosecution called for the immediate trial of Matthias for assault on his daughter, Isabella Laisdell. The defense was ready with a letter from Isabella forgiving her father and on the stand she admitted to signing it. However, Charles Laisdell testified that he had not forgiven Matthias. In his instructions to the jury Judge Ruggles stated that, though a father may have the right to whip a child, he lost that right once she was married. Matthias was found guilty of assault and sentenced to three months in county jail with an additional thirty days for contempt. the story of Isabella Van Wagnen’s (Sojourner Truth’s) residence here and her successful battle to salvage her reputation in the Courts of Westchester County. Nonetheless, her legacy as a feminist and abolitionist lives on. She died in 1833. I want to say a few words about this matter. I am a woman’s rights. I have as much muscle as any man, and can do as much work as any man. I have plowed and reaped and husked and chopped and mowed, and can any man do more than that? I have heard much about the sexes being equal. I can carry as much as any man, and can eat as much too, if I can get it. I am as strong as any man that is now. As for intellect, all I can say is, if a woman have a pint, and a man a quart – why can’t she have her little pint full? You need not be afraid to give us our rights for fear we will take too much, – for we can’t take more than our pint’l hold. The poor men seems to be all in confusion, and don’t know what to do. Why children, if you have woman’s rights, give it to her and you will feel better. You will have your own rights, and they won’t be so much trouble. I can’t read, but I can hear. I have heard the bible and have learned that Eve caused man to sin. Well, if woman upset the world, do give her a chance to set it right side up again. The Lady has spoken about Jesus, how he never spurned woman from him, and she was right. When Lazarus died, Mary and Martha came to him with faith and love and besought him to raise their brother. And Jesus wept and Lazarus came forth. And how came Jesus into the world? Through God who created him and the woman who bore him. Man, where was your part? But the women are coming up blessed be God and a few of the men are coming up with them. But man is in a tight place, the poor slave is on him, woman is coming on him, he is surely between a hawk and a buzzard. Dear Bobbe Nolan: As you probably know Frank A. Vanderlip was quite wealthy,served as Assistant Secretary of the Treasury under President William McKinley and his estate In Scarborough was large enough that he could have used that the lawn as the site of a flying display by Orville and Wilbur Wright but I know nothing of this event. Howeve,r I am intrigued and I will see if I can find any confirming documentation on it.